On November 8, the seniors went through a mock interview. For that day the seniors had to have their resume, a filled out job application, and a cover letter. Ms. Busch then reaches out to members in the community that are in the career field that they are interested in. The community members then come into the school and interview students that are interested in that particular career. Each senior students goes through the interview process, and then watches presentations from community members. This years presentations were on : nutrition and wellness, employment skills, taxes, insurance, ag technology, and taking initiative and getting ahead. Candice Wright was the opening speaker for the event, and her message was about inspiring the seniors for readiness. 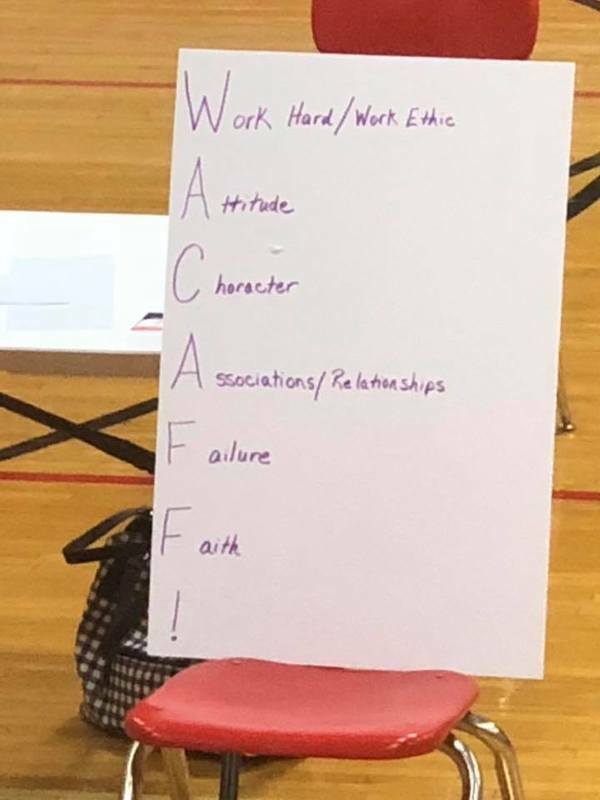 The acronym that she instilled in the students was WACAFF! This day is to help prepare our senior students for the real world. Students found it very helpful.